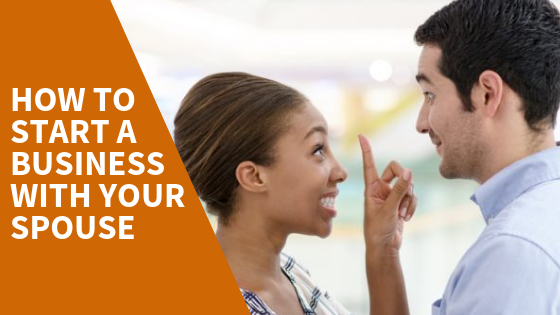 So, You Want to Start a Business with Your Spouse? When starting and operating a business, the lines of work and life begin to blur for small business owners. They often find themselves answering work emails while at the dinner table or taking conference calls in the car. When starting a business with your spouse, the lines between professional and personal lives become even more intertwined. While there are benefits to starting a business with your partner, it can be challenging to maintain both a productive working relationship and a supportive personal relationship. Ian and Jamie Landsman, the founders of HelpSpot help desk software, started their company 12 years ago and have successfully self-funded the business while remaining happily married. It hasn’t been an easy road, but the couple says it isn’t impossible. Here, they share their tips for married spouses thinking about entering the world of entrepreneurship together. Much like you would for any other employee, detail specific job descriptions for each spouse when you establish the business. For example, Ian uses his programming skills to work on the technical side of the business, while Jamie oversees HelpSpot’s operations, strategic planning, and development. Once there are certain tasks and responsibilities for each partner, allow one another to own those roles like you would at home. You wouldn’t undermine your spouse on how they load the dishwasher if it’s their turn to do the dishes, so be sure to show the same respect at the office. It’s impossible to keep all personal and professional conversations separate, but if you’re working with other employees, it’s best to stay on the topic of work. Minor one-offs are acceptable, like confirming who’s picking up the kids from daycare, or if you’re going to be late to dinner. Deeper marital conversations should take place at home, away from the eyes and ears of other staff members. To co-owners of a business, what may seem like a simple discussion or minor argument unrelated to work might, in fact, spark doubts of job-security among employees. When the time is right, and your SMB is growing, bring on staff members that can handle the workload and fill in any knowledge gaps between you and your spouse. It helps to relieve some of the stress when there are other people to help balance the work, which will ultimately alleviate any added pressure on your relationship. At the end of the day, the ultimate benefit of starting a business with your spouse is that you’ve got an incredible partner to share ideas and successes. It only works, though, when you both believe in the company and each other. Starting a business with your spouse can be a great benefit because you’ve already proven that you work well together, can make it through good times and bad, and support one another. However, it’s a big undertaking to operate a family and a business, which can add pressure to your relationship. Your best business partner may already be standing next to you, as long as you lay some ground rules.